In October, you didn’t see a lot of reviews from me. This is in part because things got hectic with a lot of deadlines and in part because of my reading slump. But, along with deadlines came a lot of monotonous work that was well suited to me listening to audiobooks on the side. So today, I’ve got a bunch of audiobook recommendations for y’all! First, before I get into my recommendations, I showed on the video a really beautiful art piece I’d received from Cindy Pon, and I’d like to urge all of you to read Serpentine by Cindy Pon again. I’ve talked about why I really enjoyed that book, and I hope that you’ll give it a chance. I also received an updated ARC of Passenger by Alexandra Bracken, so that is something I will be reading this month along with Miss Peregrine’s Home for Peculiar Children by Ransom Riggs (which has been on my TBR for yeaaaaaars). If you want to read Passenger by Alexandra Bracken, I’m also currently hosting a giveaway, so be sure to check that out! 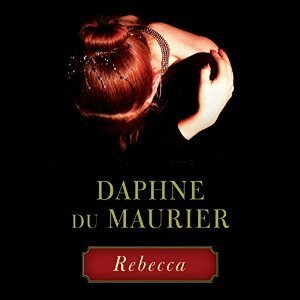 Rebecca by Daphne Du Maurier was on offer from audiobooksync (another reason why you should really mark that program in your calendar!) in 2014. I believe it’d been paired with Beautiful Creatures. In the face of monotonous work, I was searching for something to listen to, and voila. I played the audiobook aloud so that my friend could also listen. The narrator is SO TALENTED. There’s this character introduced in the beginning who’s supposed to be a snooty gossip elitist (Mrs. Van Hopper) and the VOICE the narrator used to imitate this character (and really all her voices for all the characters!) was AMAZING. My friend was doing her own thing, her own work, but at the sound of the narrator’s voice for that character, she turned to look at me and was like, “Wow, that is a great voice.” I highly enjoyed the audiobook because of the narrator’s prowess and ability to match the characterization, which was already done well. Rebecca is about a young, inexperienced woman who had been training to be a companion but who falls in love with and marries a mysterious, brooding gentleman instead. At his giant estate, she finds their new marriage overshadowed by the one he'd shared with his dead wife, Rebecca. However, it reminded me a lot of Jane Eyre, and I think that was a bad thing for me. I LOVE JANE EYRE. One of my favorite books of all time. This book... I couldn't understand the supposed charm of Mr. De Winter; how on earth was this supposed to be a man in love and ugh the verbal abusiveness, the condescension! (he's calling his wife "child." I'm sorry--what?). The main character also doesn't have Jane's spirit; it's lovely to see her gain confidence once she stops being afraid of everyone, but it's not the same as Jane declaring to Rochester that she is his equal in every way. I have no problem with the main character remaining nameless--rather I have a problem with how that reflects her characterization. It's easy to connect with her feelings of insecurity, jealousy, and shyness, but she also fades away as the only character without a name and she really does have less power and agency than anyone else in the book. But the atmosphere, the writing, the characterization of Mrs. Danvers and Mrs. De Winter (the first) are all excellent. If you like Wuthering Heights, you'd probably enjoy this. 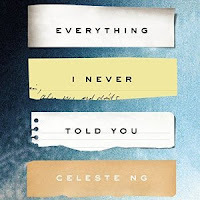 Set in the seventies, Everything I Never Told You by Celeste Ng is a close character portrait of a mixed-race family beset by tragedy. The first line has to do with Lydia dying (Lydia is the daughter of James and Marilyn Lee, and the sibling to Hannah & Nathan). The book goes through the perspectives of each of these characters in the wake of her death, along with past timelines (i.e. how Lydia ended up dying, how James and Marilyn met). Ng explores the different character relationships and how the characters got to be who they were when Lydia died. Really fantastic – they felt real and completely alive, fears, worries, insecurities, joys and all. And the narrator for the audiobook has this soft voice that worked well with Ng’s writing style and subtle characterization; the voice lent an extra transcendence to the story. It’s no wonder this has been getting a lot of praise. I’m really looking forward to what Ng writes next. 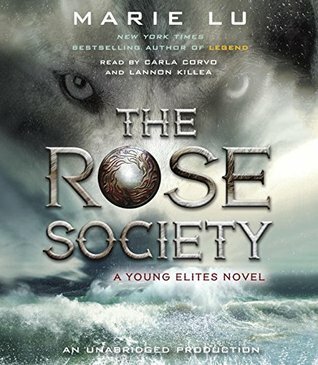 And my last audiobook: The Rose Society by Marie Lu. If you haven’t already heard of The Young Elites, the book has been described as X-men meets Game of Thrones in an alternate fantasy version of Renaissance Italy. 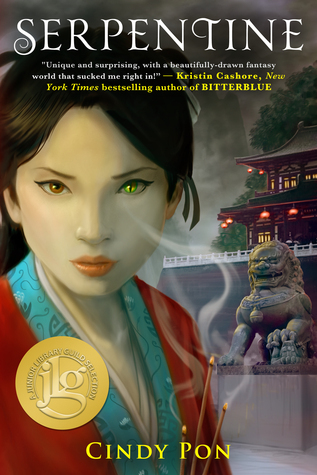 It chronicles the character arc of a villain, who is, as Marie Lu said, a sort of female Darth Vader. 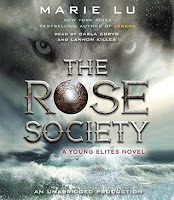 The Rose Society is the sequel to TYE. I hadn’t expected to listen to this on audiobook, but I’m glad I did. I usually like reading fantasy stories in print because I need time to imagine the worlds and characters etc. on my own, but the audiobook narrators for TRS captured the atmosphere and the emotions of each character so well. When the action and tension were rising, their voices matched the increasing pace. This one, I highly recommend in audio. And as for the actual story, there seemed to be a lot more action in TRS and the plot veered in unexpected directions. There’s more world-building and epicness to the sequel, since you get to explore other countries. 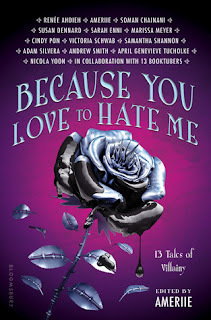 So, if you liked TYE, check out the sequel for sure. So that’s what I listened to last month! I’ve got some other audiobooks lined up along with the print books I mentioned earlier. What will you be reading in November? What did you read in October? Have you read any of the books I mentioned? Let me know!